Remember the room featured in the 1985 movie “Room With a View” with Maggie Smith and Denholm Elliott? 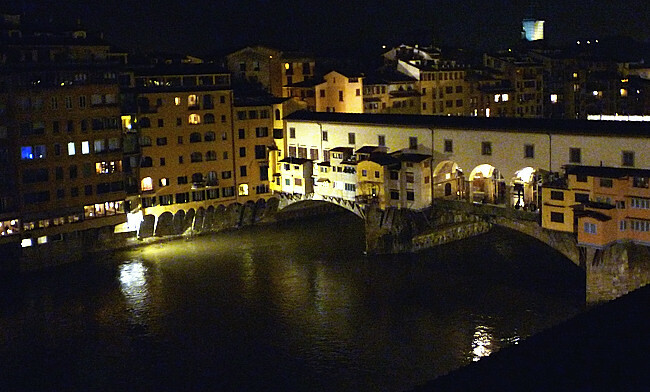 This historic hotel is attached to the building that houses the famous Uffizi Gallery. After a meticulous restoration, the hotel has just reopened. It’s a very small hotel in the center of Florence, tastefully decorated in Florentine style, with all of the amenities you can ask for. Imagine staying in this room for your Tuscan honeymoon. Relaxing in your “room with a view” in the heart of Florence, one of the world’s most elegant cities; now that’s a honeymoon! Air transportation is not included but we offer competitive rates with the package purchase, please, feel free to call us.